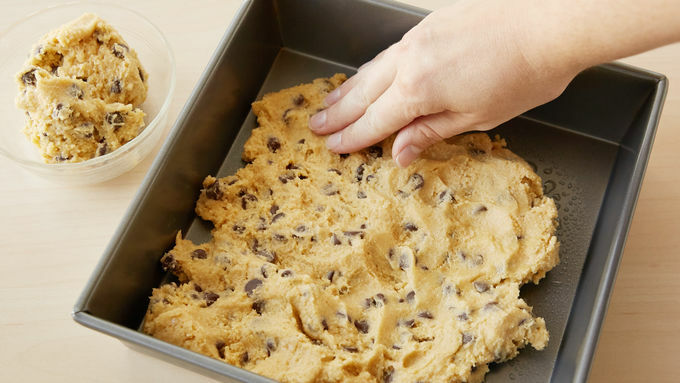 In large bowl, mix cookie mix, butter and egg until soft dough forms. 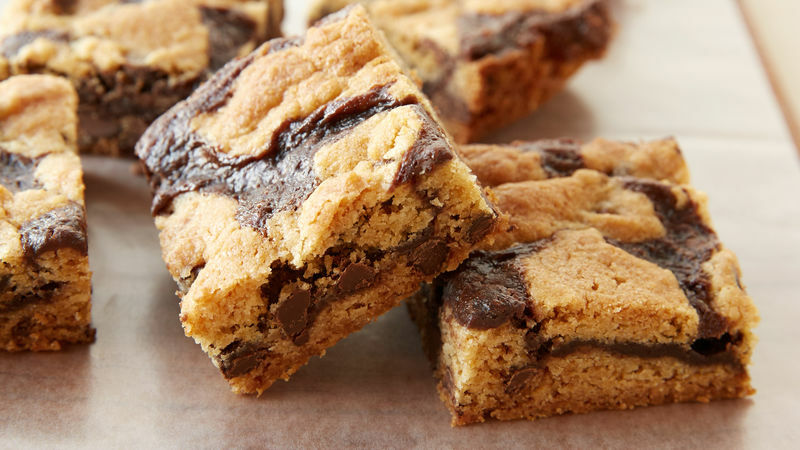 Remove 3/4 cup of the cookie dough; set aside. Press remaining dough evenly in bottom of pan. In small bowl, beat frosting and cream cheese with spoon until well blended. Spread frosting mixture on top of cookie base. 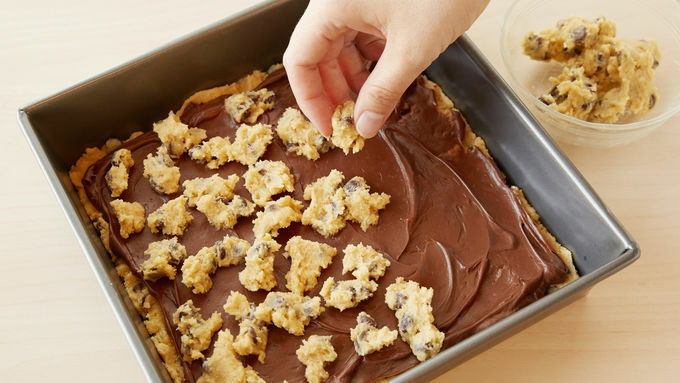 Break remaining cookie dough into small pieces, and sprinkle over top of frosting mixture. Bake 30 to 34 minutes or until golden brown and toothpick inserted in center comes out almost clean. Cool completely, about 1 hour 30 minutes. Cut into 4 rows by 4 rows. Store in airtight container at room temperature.